In life, we often come to associate markers with children. As if once you reach the age of 12 it suddenly becomes socially unacceptable to use markers for artistic ventures. Well, I would like to challenge this belief. They are permanent. You don’t have to worry about smudging your work away (which happens a lot when you are a lefty using a pencil). They have good flow. Seriously, they are fun to use. They help you connect with your inner child. Whether its nostalgia or the bright colors, markers have a way of helping you re-connect with your fun side. That being said, I recently spent an evening sketching with markers. I created these sketches in a small sketch-book, not spending a particularly long amount of time on either of them. They were, however, a lot of fun to make and, in their own way, pleasing to the eye. I decided to focus of pop culture imagery, realizing that these sort of images pair well with the vibrant aesthetic of markers. The first sketch is that of the Wicked Witch of the East from “The Wizard of Oz”. 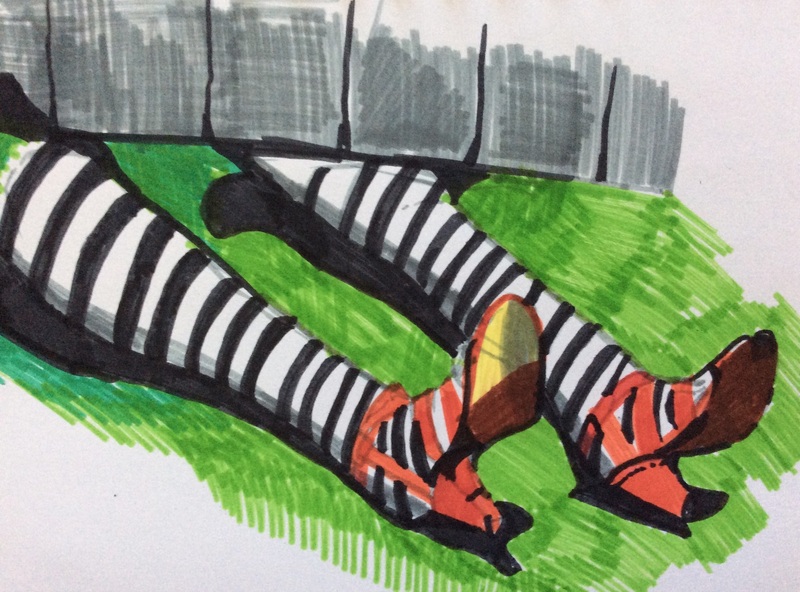 Perhaps it is Halloween spirit that inspired this sketch, though I’m inclined to believe it was the stripes in the stockings. 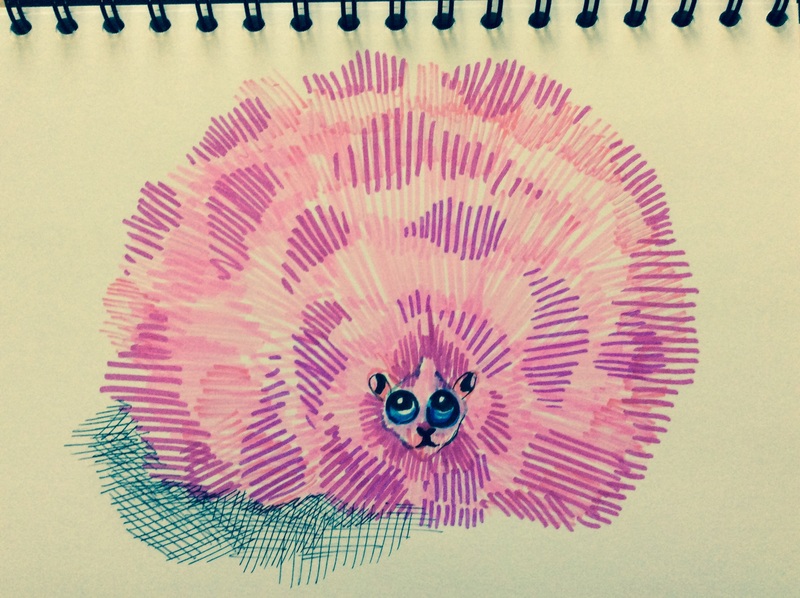 Aside from my October-appropriate gal, I also sketched a “Harry Potter” inspired Pygmy puff. 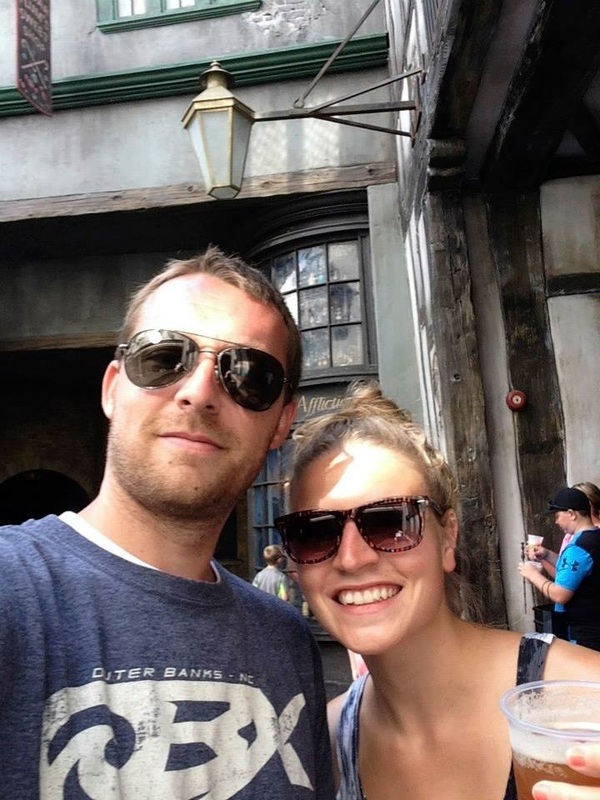 Over the summer my father and his wife took Andy and I to The Wizarding World of Harry Potter in Orlando Florida. As a huge Potter-fan since childhood I had been dying to attend the theme park since its opening. That being said, I am very happy I went after the newest addition of Diagon Alley. The new park was amazing and I could go on and on about it for ages. But for now, I will tie it back to the pygmy-puff love that could be felt in Weasley’s Wizard Weezes and the Magical Menagerie. 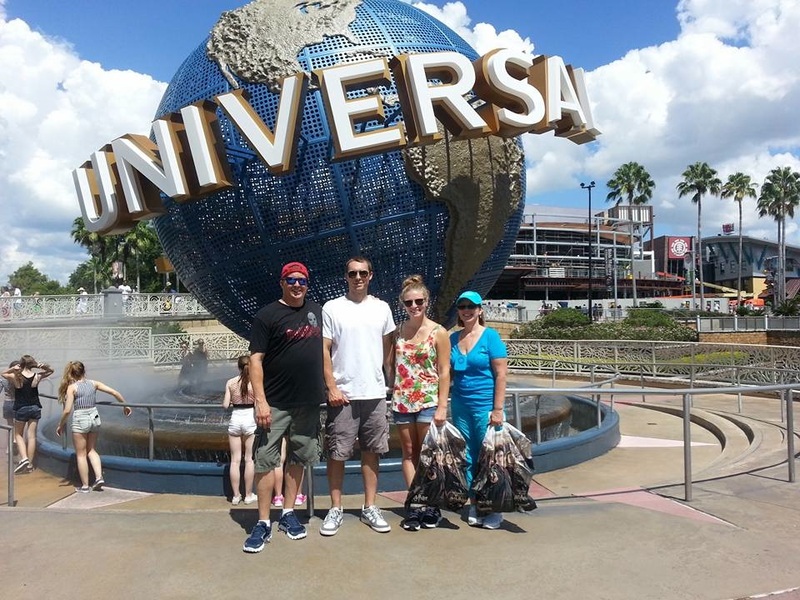 Both locations invited park guests were invited to “adopt” pygmy puffs. I chose to draw this imaginary creature because of its vibrant color and also because of the body shape and nature of the fur. Both aspects of the creature’s physical appearance lend itself well to drawing, especially drawing with markers. Doing these two sketches reminded me that when you are an artist, it does not matter what your medium is. The important aspect lies in the fact that, no matter what, you are creating on a regular basis. And sometimes, using a “child’s” medium can spark fun and get you creating more.